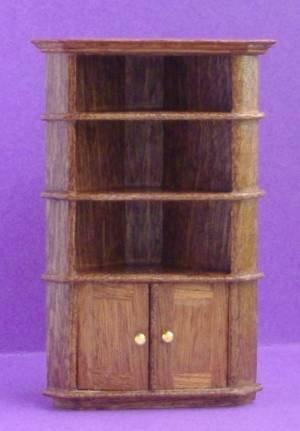 1/24th scale quality corner cupboard for the dolls house living room. 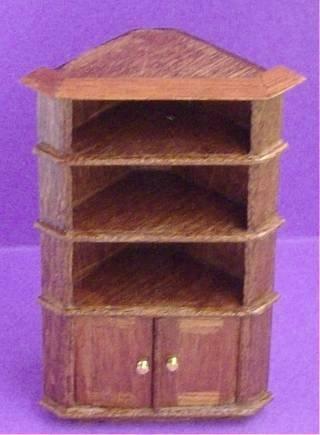 Ideal piece of furniture to display your miniature nik naks or books. Handmade from real mahogany or walnut. Cupboard doors open. Measures approx. 81mm tall x 40mm deep (3.2" x 1.6").